Looking for a fun way to make Dad’s day special on Father’s Day? How about taking him for a walk down memory lane? Chances are, dad has a few special items tucked away from the “good ol’ days.” Why not get them out and restore them to their glory days, then sit with dad and let him rehash HIS glory days? Our friends at Church & Dwight have some tips to help you out! Start by asking dad’s permission to restore some of his favourite items. If you want it to be a surprise, do it in a round-about way. For example, say “Susan was talking about restoring Dave’s old football jersey so it’s like new again. She wasn’t sure if he’d like that. What do you think?” The reason for asking: sometimes that sweat and gunk is part of the memory! So make sure it’s something he actually WANTS restored! His favourite baseball hat that got ruined when the guy behind him dumped catsup on it. That awesome flannel shirt from his grunge days in the 90s. 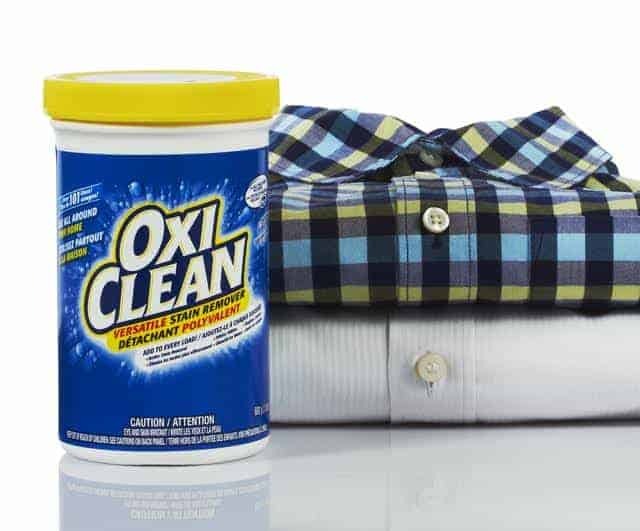 Once you know what you’re going to restore, grab some OxiClean™ Versatile Stain Remover. It’s perfect for all his favourite clothes and the fabric upholstery on that comfy chair! For soft surface stains, simply mix one scoop with water to remove excess stain before treating. Apply only enough solution to saturate the stain and allow the solution to stand for 1-5 minutes. Blot with a white towel and repeat until the stain is not visible. Then, rinse with clean water and blot until dry. For tough laundry stains, mix 2-4 scoops per 3.8L of water and submerge the stained items into the solution after dissolved. Soak the garment for 1-6 hours depending on the severity of the stain, then wash as normal. While you’re in the spirit of polishing up his most treasured items,grab an old photo of him with his friends and family or a trophy he’s proud of and give it a whole new display. Nostalgia can be a powerful force, so don’t underestimate how sentimental a father can be! Simple gestures like these will go a long way and bring him back to his fondest moments. 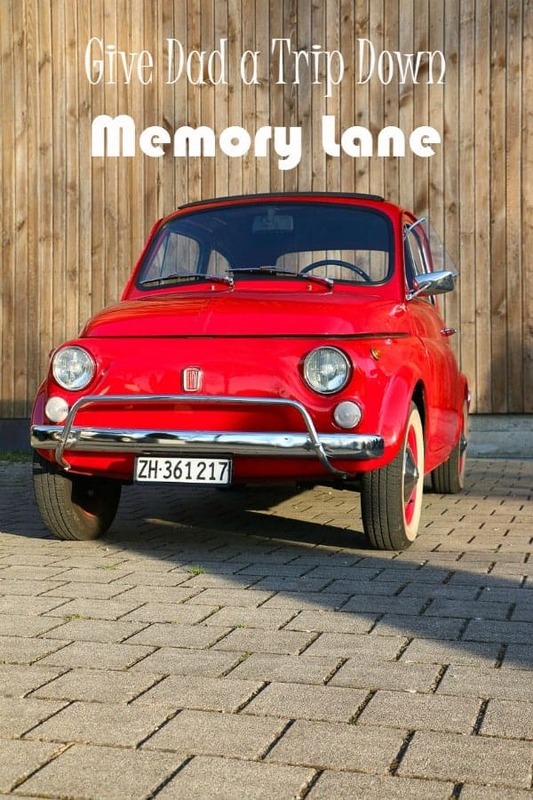 What would you rejuvenate for a trip down memory lane on Father’s Day? Are Bullying Bills the Solution to Stop Bullying? Hmmm, I’ll have to think long and hard about this. Cute ideas for Father’s Day! A vintage baseball hat would be a great gift for my husband. I need to check out Oxiclean. I haven’t used it yet. This is such a wonderful idea. I can think of a few things that my hubby would love to be restored. Hmmm.this is a great question! I love the idea of giving my dad a gift that is a blast from the past! I really need to think alot about that. Great idea! This is a really good idea! There are a lot of clothes and hats that have been ruined from working outside. My boys totally need something that will take all their staines out of their clothes. I have never really thought about rejuvenating something for my dad as a gift. I would have to ask my mom if my dad has a favorite ‘something’. This is a good idea. That is a really cute and unique idea. I may have to look around for something that might work. This is a great idea. I tend to hold on to a lot of keepsakes and my husband likes when I pull out pictures of the kids when they were babies. My grandfather has an old toy truck that he’s very fond of. I think I’d clean that up and give it to him! I really like your idea for Father’s Day! I always got my dad shaving cream and a razor, he never wore ties, so that idea was out, LOL! Whoops hit send too soon I wanted to say I may restore his late uncles old chess table he made, this is a great idea! Thus is a wonderful idea. Sadly I don’t have a dad and My hubby isn’t much into cars or anything really so it’s very hard for me to figure out what to get him! What an awesome idea. My dad probably would love it as well, but my husband has an old flannel shirt I’d love to restore! I never thought about doing something like this for my dad. I bet he has some treasures that I could polish up for him. Very cool. I might have to try and dig something up. I wonder what I could dig up to restore. I would have to give that some thought. What’s Your Biggest Distraction While Driving With The Kids?